Cataracts are not the most glamorous subject I know, but when you consider it’s the leading cause of blindness in people over 40 (isn’t 40 way too young for such a thing??) and that you will have a one in two chance of getting them by the age of 80, it’s worth having a closer look to find out if there’s anything you can do to prevent the inevitable happening. And what do you know, it turns out that a healthy lifestyle can most definitely reduce the risks. The benefits of looking to your health, your diet and your fitness literally know no bounds. Here Aaron Barriga, who works in the field of all things optical, gives us the low down. Cataract is a clouding of the eye’s natural lens, which lies behind the iris and the pupil. Things look blurry, hazy or less colorful with a cataract. It is the most common cause of vision loss in people over 40 and is the leading cause of blindness in the world. 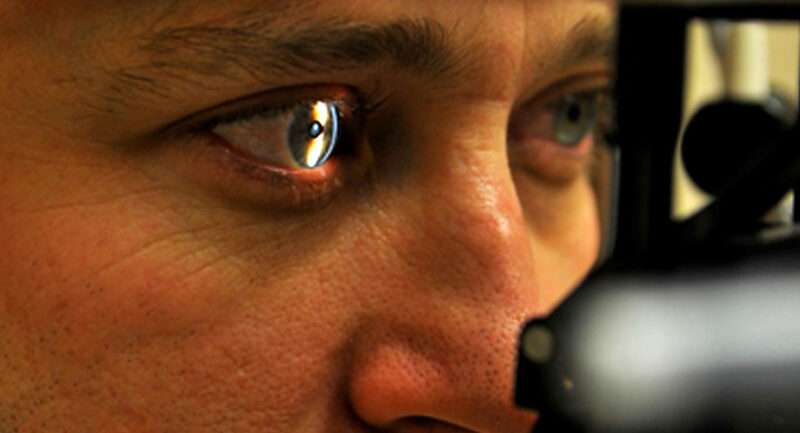 Cataracts affect nearly 22 million Americans aged 40 and above, with the number rising nearly to 50% by the age of 80. According to Prevent Blindness America, there are more cases worldwide of cataracts than glaucoma, age-related macular degeneration, and diabetic retinopathy combined. While there is no scientific proof that you can completely avoid getting cataracts, there are several ways that can help reduce the risk factors or slow their development. Don’t wait until you start showing symptoms of cataracts to begin the cataract treatment. People tend to go to the doctor only when something is wrong. However, visit your ophthalmologist once a year, even if your vision is clear and healthy. These routine visits will help the doctors identify cataracts, macular degeneration, glaucoma and other disorders related to vision. The early detection will help in identifying and preventing various age-related vision problems before they get too serious and affect your vision permanently. A rich and nutritious diet is essential for numerous health reasons. It helps in ensuring a healthy vision too. There are several vitamins, antioxidants and minerals that help reduce the risk of cataracts. A study found that those who consumed the most lutein and zeaxanthin, antioxidants found in yellow or dark-green leafy vegetables, had an 18% lower chance of developing cataracts than those who consumed the least amount of lutein and zeaxanthin. Another study found that omega-3 fatty acids might help shield your eyes from cataract development. It can be found in oily fish like salmon and sardines, and flaxseed. Make healthy diet a priority and consume foods that are rich in antioxidants, such as beta-carotene, selenium, and vitamins C and E, as these may help in preventing the development of cataract. Cigarettes are injurious to our health for various reasons, the most obvious risk being to the lungs. However, not many know that smoking affects the health of the eyes as well. Research suggests that smoking doubles the chances of developing cataracts. The risk will increase based on how much one smokes on a daily basis. If you smoke, then it is time for you to kick the habit and if you don’t smoke, don’t be tempted to start it. Your eyes will thank you later. Meeting a few friends over drinks sounds like a wonderful plan, but the next time you go ahead with that plan, make sure to keep the number of cocktails you consume to a fewer number. Excessive alcohol consumption poses several health risks, one of which includes an increased chance of developing cataracts. If you enjoy wine, cocktails or beer, enjoy it in moderation to help prevent cataracts. We all know that UV protection is extremely essential for the skin, but you also need to protect your eyes from the sun. Your ophthalmologist would confirm that ultraviolet light and chronic sunlight exposure accelerates the formation of cataracts, even in those who are young. In order to reduce your exposure to the sun, use sunglasses with UVA/UVB protection every time you step out. You can even wear a wide-brimmed hat if you spend extended periods of time outdoors. If you are diabetic, you would be at a greater risk of developing cataracts. Therefore, it is critical that you maintain healthy blood sugar level to maintain your health as well as your vision. If you experience any kind of vision loss, visit an eye specialist immediately to rule out serious vision problems or identify early signs of cataracts. In my opinion all those tips would be better applied to a title that was about protecting vision. They are valid and very useful for eye health but in the first world cataracts very rarely result in a registration of blindness. Yes Di it’s true that most people in the first world have cataract operations but wouldn’t it be great to prevent cataracts altogether? And it stands to reason that by looking to the general health of your eyes you have a better chance of avoiding them.